Since Roe v. Wade, the question of women’s healthcare turned into a national debate. Over time, our society has become deeply divided over the question of religion. So the need for women’s healthcare has ultimately turned into a debate about abortion. The Affordable Care Act (ACA) requires that employers provide women’s healthcare to employees. But that rule made many religious business owners claim that the ACA infringed on their first amendment rights. So the government created a way for them to opt out of providing birth control to their employees by filling out a form. 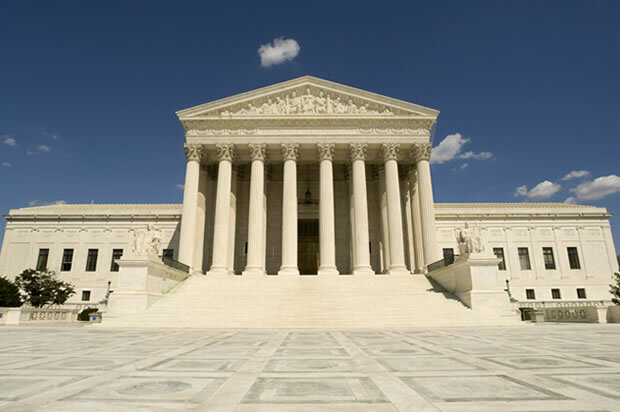 However, a recent Supreme Court case, Zubik v. Burwell, questioned whether requiring religious non-profit organizations to fill out the exemption form violates their first amendment rights. The proponents of the case, the Petitioners, argued that it violates the Religious Freedom Restoration Act (RFRA) because the form requires them to facilitate birth control coverage. RFRA was enacted in 1993 to ensure “that interests in religious freedom are protected.” Its goal is to ensure that the government does not “substantially burden a person’s exercise of religion even if the burden results from” general application. However, even if the law violates RFRA, there is an exception: if the Court can find that the need to violate RFRA outweighs the burden to the opposing party, then the government can ignore RFRA. RFRA applies to all religions, but the main purpose of the Act was to protect Native American sacred lands and rites, like the use of peyote. These days though, RFRA is used to protect the religious freedom of individuals who believe that the use or promotion of birth control is a sin. Balancing the Burden Between the Petitioners and the Government. In essence, the Petitioners and the government are at odds over the balance of burdens, whether the government’s needs outweighs the petitioners’ needs. The government wants to eliminate as many roadblocks that employees would face, such as having to pay a doctor for birth control when all other medical services are covered. This is not just one employee, but hundreds or thousands of employees. The Petitioners argue that filling out the form only streamlines the ACA, so it’s not as necessary as the government claims. The Petitioners argue that the ACA accommodation that allows them to not provide birth control requires them to help employees get birth control. Even though the Petitioners may not be actively helping their employees, they believe that filling out the form is a sin. However, the government concedes that the Petitioners’ religious beliefs are sincere. So they must accept that the Petitioners truly believe they are committing a sin. For the Petitioners, the question is whether they should obey their government or their God. So how can the government argue that the burden is not substantial? The Courts Offered a Possible Solution, But It’s Very Specific. The Court ordered the parties in Zubik v. Burwell to consider the following solution. The alternative solution would allow religious employers to inform the insurance company that they do not want their health plan to offer birth control. The employer will need to inform the insurance company when they receive the insurance bill. So, the employer objecting on religious grounds does not submit a form to the government. Instead, the insurance company will already know that the employer does not wish to provide the use of birth control. When the employee receives insurance from their employer, the employee will know that there is no birth control coverage. This solution may avoid the entire mess that the Petitioners face. However, this answer is just another temporary fix to the complicated tangle of issues surrounding birth control. To some people, birth control promotes promiscuity and kills unborn children. To others it helps regulate hormones, controls acne, reduces pain during menstruation, and other non-pregnancy related benefits. There is a clear division about the benefit and uses of birth control. The division will prevent the Court from being able to make a clear decision. It is worrying that the Court is creating another stop-gap measure. But a temporary fix may be the only solution that works in the end. Religious Liberty Executive Order, Is It Something to Fear?